pepper Varieties: These come in different colors and potencies. Green peppercorns are packed in brine, vinegar, or salt soon after they're picked. They're mild and soft and can be eaten whole. 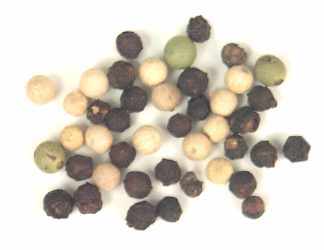 Black pepper and white pepper are both dried, and sold either ground or as whole peppercorns. Black pepper has a stronger flavor and is far more popular than white; many cooks just use white pepper when they want to avoid having black specks in a light-colored sauce. It's best to buy whole peppercorns and grind them yourself, since ground pepper loses its potency quickly. 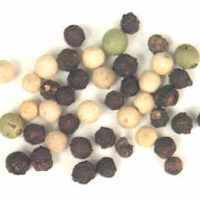 Pink peppercorns aren't true peppercorns, but they have a very mild, peppery flavor.